Today’s forecast was again really poor - rain and gale-force winds. Despite the forecast, we decided to head out to ascend the Graham, Millfore. 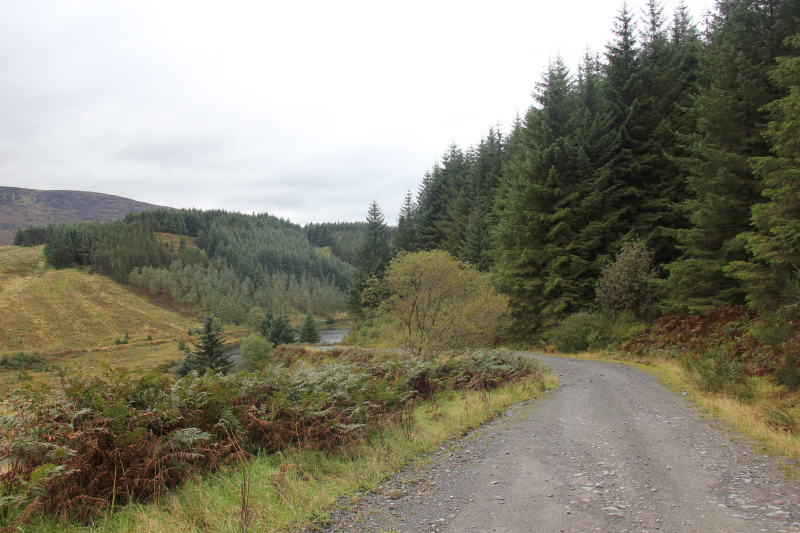 We drove to, and parked beside, the West-end of Black Loch, just off the A712. 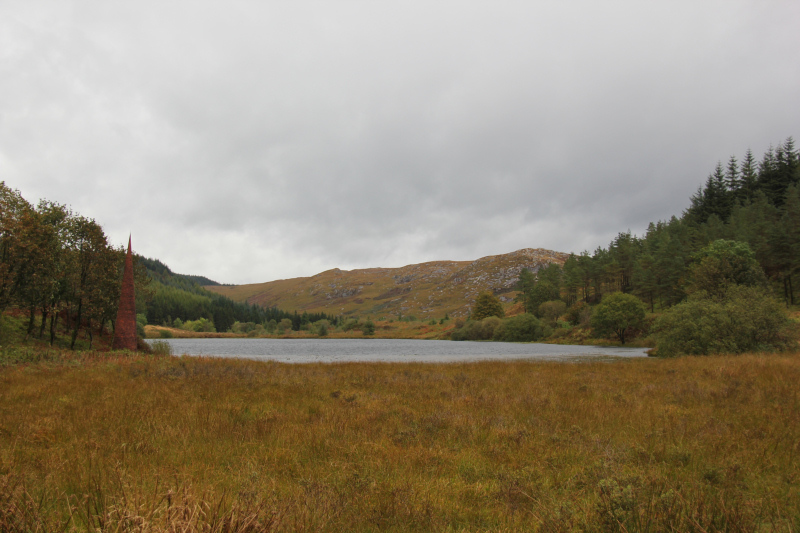 On arriving at Black Loch, the heavy rain stopped . 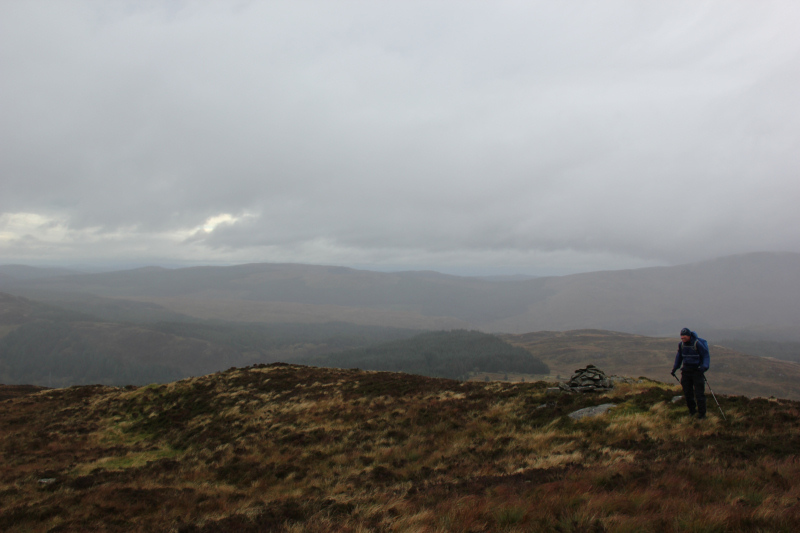 We only had the odd light shower and low cloud wetness during the walk. The wind was however quite ferocious, especially at the summit. 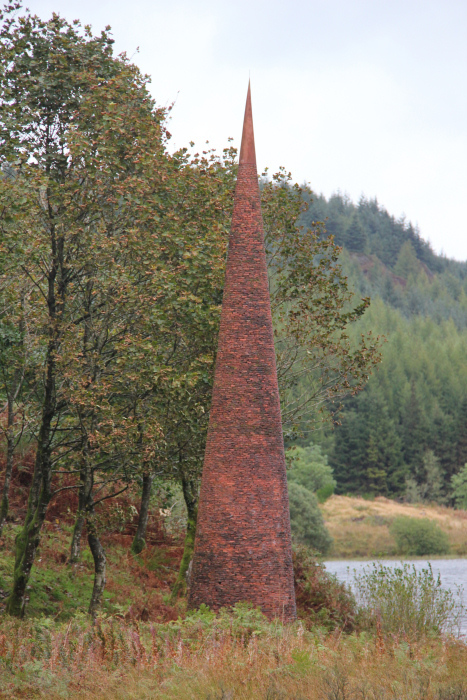 At Black Loch, I took a few photos of a conical art sculpture constructed using a mosaic of small tiles, called ‘Eye’. 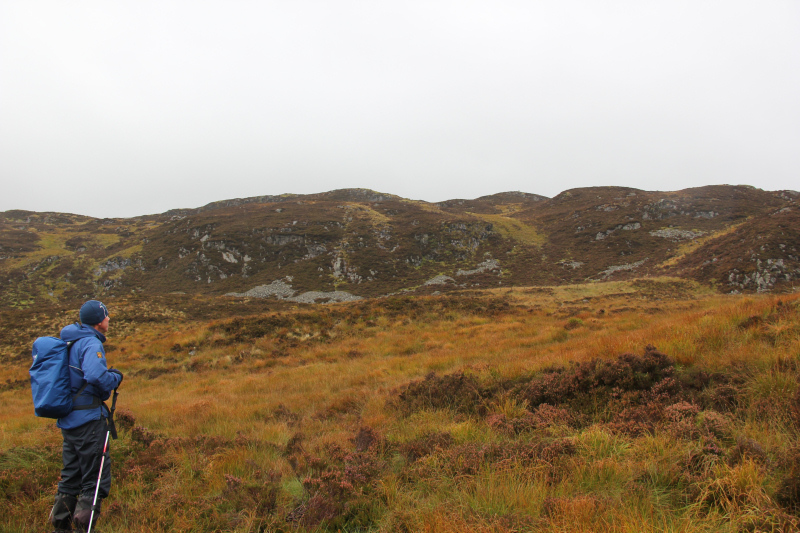 After skirting round the back of Black Loch, we followed a good track for approximately three kilometres. 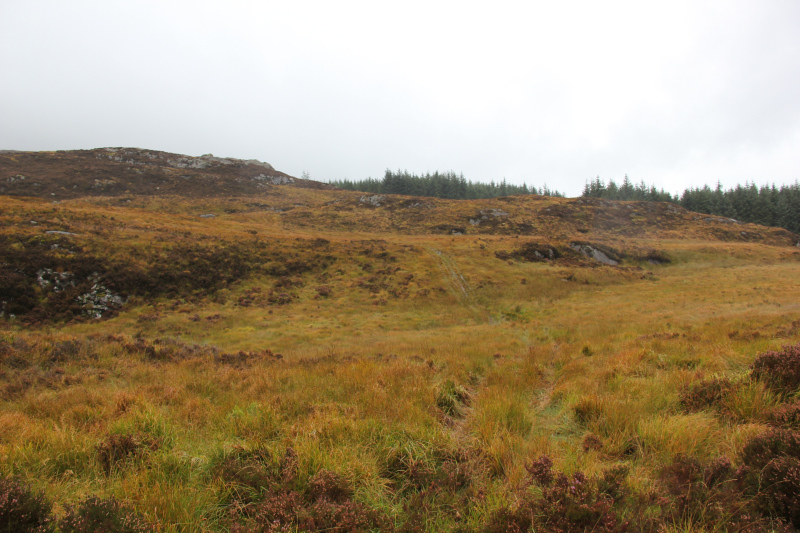 The track was surprisingly dry underfoot, despite the heavy overnight rain. As we progressed along the track, we could see the clouds overhead moving very quickly. Millfore was in and out of cloud, as we walked along the track. It looked like it was going to be windy up top. 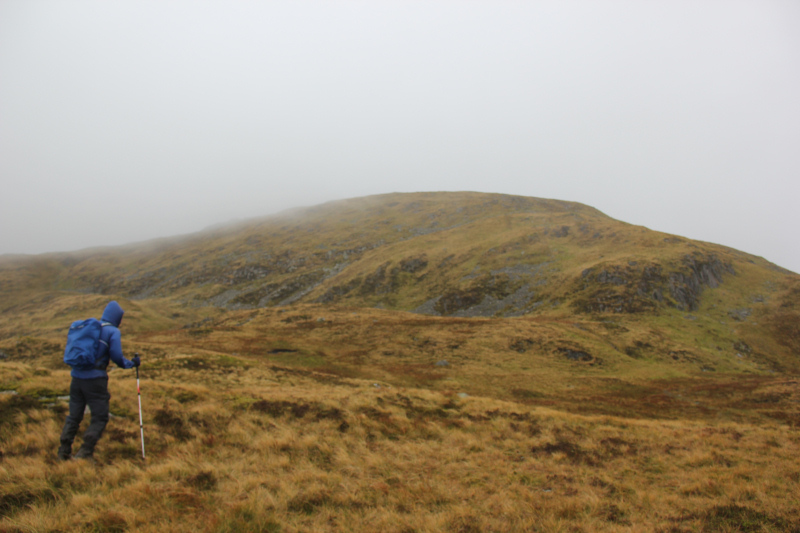 We were in two minds whether to ascend up towards Kirkloch or continue along the track to ascend from near Munwhul. 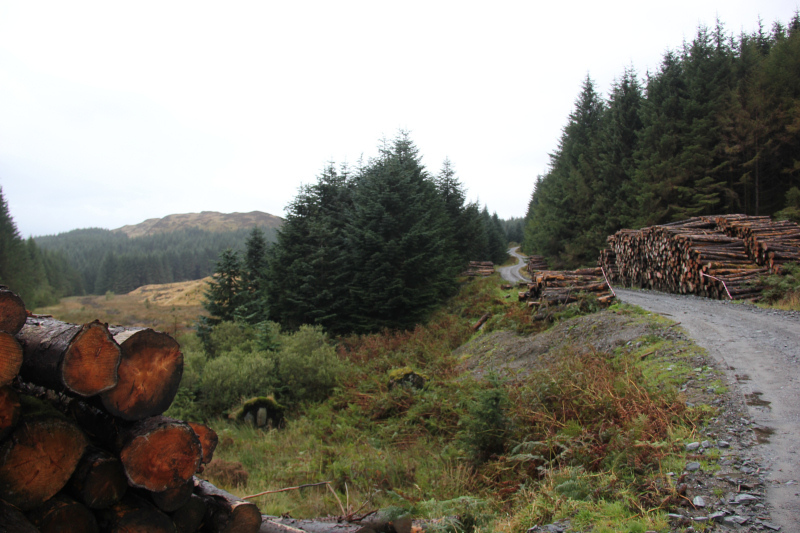 On finding an ATV track heading up the hill towards Kirkloch, we decided to take advantage of this track. Really glad that we did, as the ATV track went practically all the way to the summit . 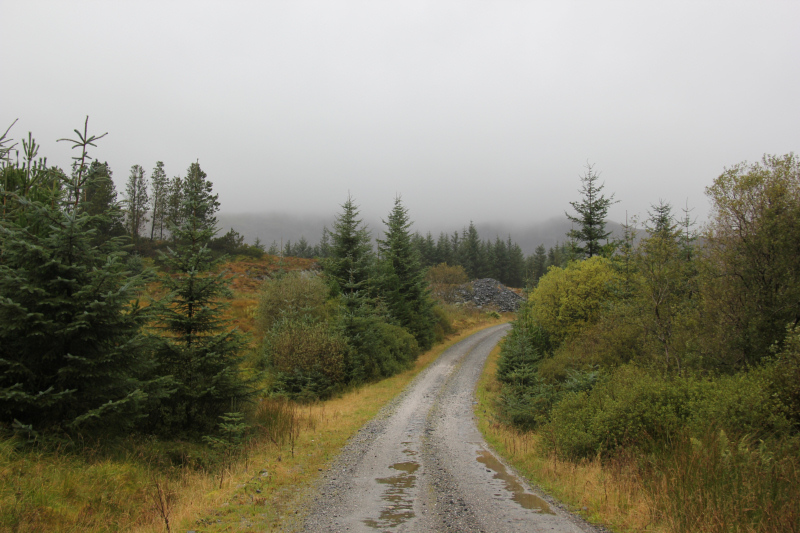 The ATV track was very wet underfoot but we expected that after all the recent rain. 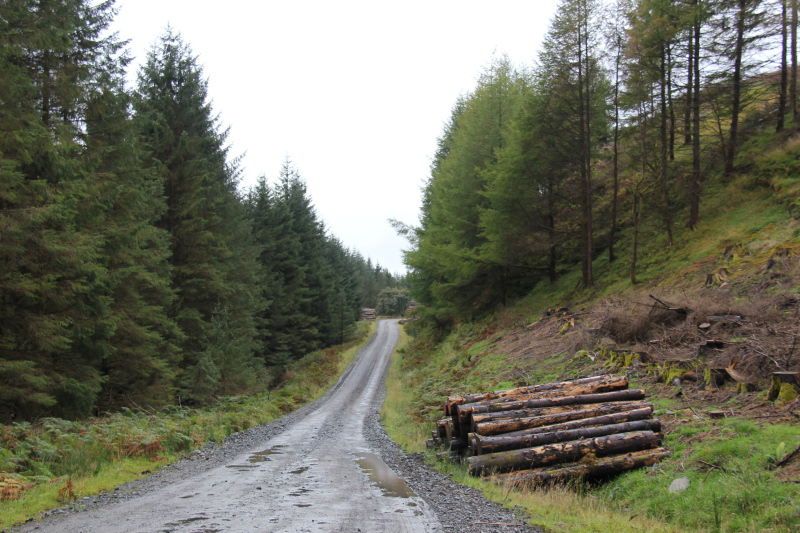 The track allowed us to make continued fast progress up the hill. During the ascent, I struggled a bit to keep pace with John. John used to run Marathons in under 2Hrs 40Mins and also get great times running 100-mile Mountain Marathons. He is fitter than a butcher’s dog . 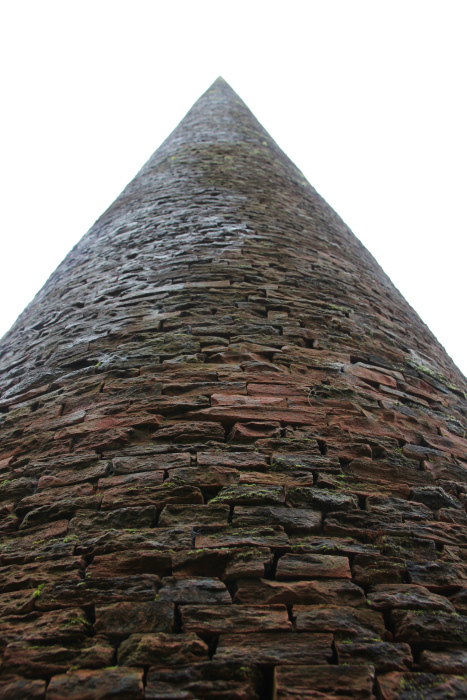 During the ascent, we were walking into the wind but Millfore was sheltering us from the worst of it. We knew that as soon as we came over the final rise, we would be hit with the full-force of the wind. 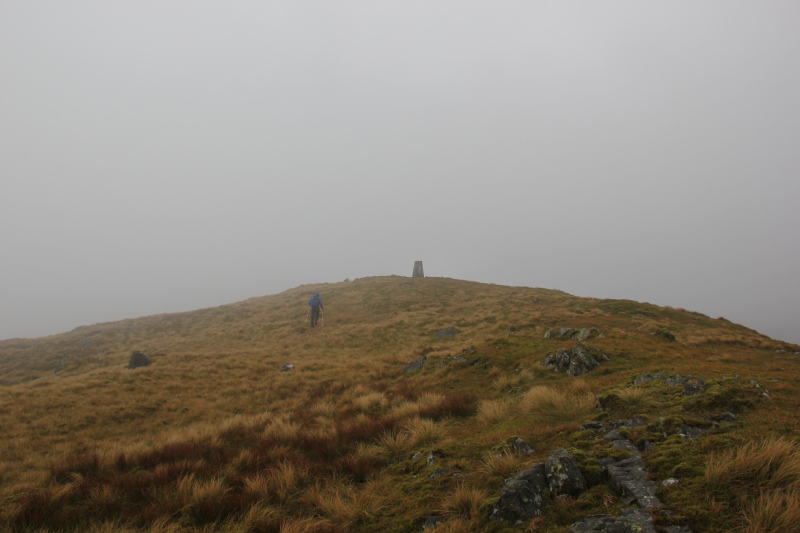 As expected, when we come over the final rise towards the summit cairns and trig point, the final hundred metres was at about the limit of walking, without being blown over. 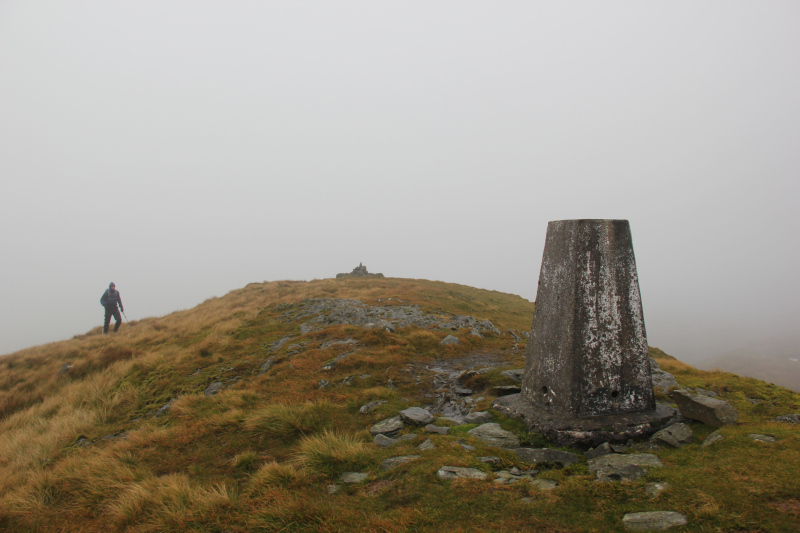 We made for the trig point and summit cairn, as quickly as possible, and then got back down below the summit out of the full-force of the wind. From the car to the summit of Millfore took just 90 minutes. From the summit, we returned via the same route back to the car. 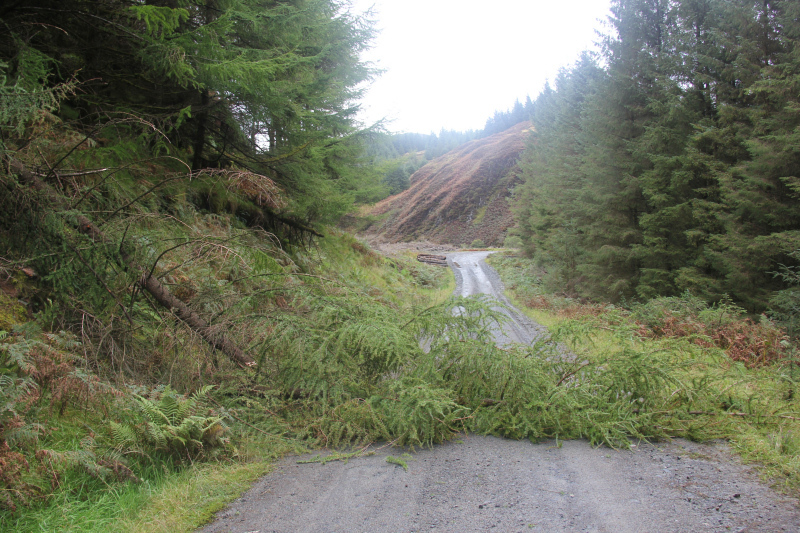 On reaching the good track leading down to Black Loch, there was a tree down across the track that wasn’t there during the ascent. On reaching Black Loch, we spent a few minutes down at the loch having a look at the ‘Eye’ sculpture. We were both happy to get out and summit a hill today, given the forecast. However, after Millfore, we opted to visit a nice Coffee Shop instead of doing any further hills .